This is a quick heads up to alert you to the very valuable search engine tool, Open Site Explorer, which reveals the urls of most sites linking to your blog or website. You will never get complete backlink information from Google's search engine, because Google is paranoid about their search engine algorithm being reverse engineered. Everyone is familiar with the internet marketing strategy of article marketing. It is still a viable tactic, but has lost some of its potency in terms of backlink value. However, having numerous articles in multiple article directories still delivers a certain amount of unique targeted traffic you would never achieve otherwise. Repost.us is a site that has emerged which offers widespread syndication of quality blog content. It looks like a strong alternative or supplement to article marketing. Place relevant display ads within your content, because when your content is syndicated, it will be with the ads intact. Spikes In Your Blog Traffic? I’ve been discouraged the past three weeks by a series of technical problems with this blog. The latest calamity is losing 18 email accounts with this domain name. My web host says they can be restored so here’s hoping. Enough about my problems. Here’s some great info that will cure many of your blog or Web site traffic problems. This technique has produced as many as 19,000 clicks in 5 days with only 15 minutes of work! Select a topic and come up with a phrase that someone would search for. Use Google Instant if needed. You want to get to the first page of Google for this term. You want less than 40 pages of results in Google for this term. If possible, start your headline with your keyword phrase. Make some blog comments with a hyperlink to your article. Bookmark AND use PingFarm to promote blog comment urls once the comments are approved. I could make this post consist of one sentence:Publish articles in the Ezine Articles Directory, and automate their distribution to Twitter and Linkedin. 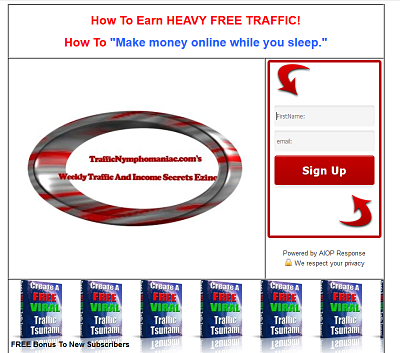 Both of these social media sites get an extraordinary amount of traffic so this strategy is merely a technique to take advantage of an existing heavy traffic flow. But, before I focus on the basic technique I want to emphasize the benefits of expanding the article submisssions with the use of an article submitter. Make multiple submissions of the same article, but vary the anchor text backlinks in your resource box. Integrate these extra articles into your link wheels. Ok. now on to a great post by article marketing guru, Jeff Herring. He explains exactly how to hook up EzineArticles, Twitter, and Linkedin. When you are trying to publish content for your blog on a regular basis, it becomes somewhat of a struggle to come up with fresh, original, quality content. Article marketing guru, Jeff Herring, provides a free 9-minute video that teaches how to use the site, EzineArticles.com as a source for content ideas. You have already published articles with EzineArticles.com haven't you??? Jeff teaches you how to use EzineArticles' Dashboard - Author Tools to gain valuable content ideas. Look for "Contacts", then, "Top Authors By Category"